ITALIAN-STYLE MEATBALLS, MARINARA SAUCE & MOZZARELLA CHEESE. 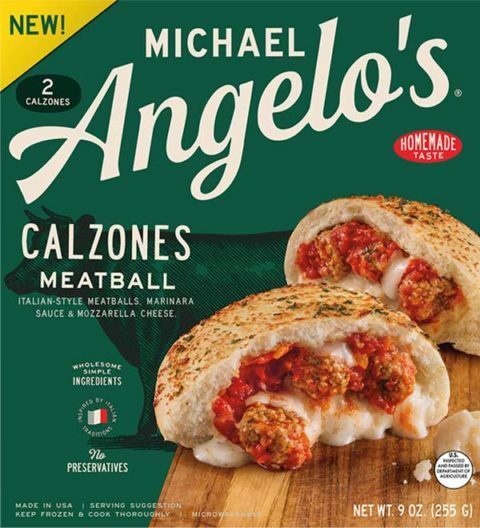 REMOVE CALZONE FROM OVERWRAP AND WRAP WITH ALUMINUM FOIL. PLACE WRAPPED CALZONE ON COOKIE SHEET AND PLACE ON CENTER RACK OF OVEN (6-8” FROM HEATING ELEMENT). 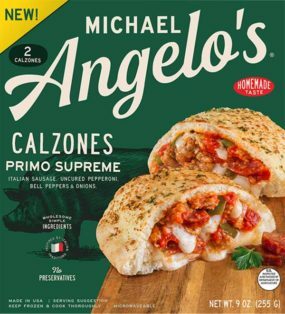 COOK 1 CALZONE FOR 25-30 MINUTES. CAREFULLY REMOVE FROM OVEN, AND LET STAND FOR 2 MINUTES BEFORE SERVING. 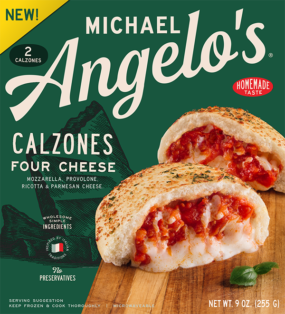 PLACE CALZONE ON A MICROWAVE SAFE PLATE AND PLACE IN MICROWAVE. 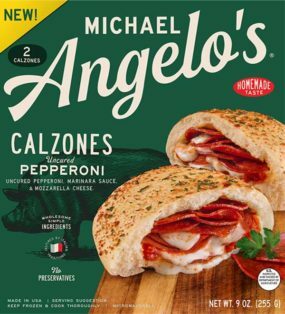 COOK 1 CALZONE FOR 1:30 MINUTES. CAREFULLY REMOVE FROM MICROWAVE AND LET STAND FOR 2 MINUTES BEFORE SERVING.